Streets are for people. People on foot, on bike and in motor vehicles. But, at the end of the day they are all just people regardless of what mode they are using. We have forgotten this fact in the planning of our streets. It is so refreshing to see that communities such as Poynton are using the design of their streets and major intersections as the foundational elements for the renewal of their economy. Now, many of you might be thinking that the above video is about the UK and that shared space is not in the character of our towns and cities here in the States. Plus we love our cars so why would we not put them as top priority. However, in a number of projects over the past five years I’ve advocated for the use of shared space and included shared space in the urban design plans. Alas, only one of them has been built… and its an alley so that doesn’t really count. 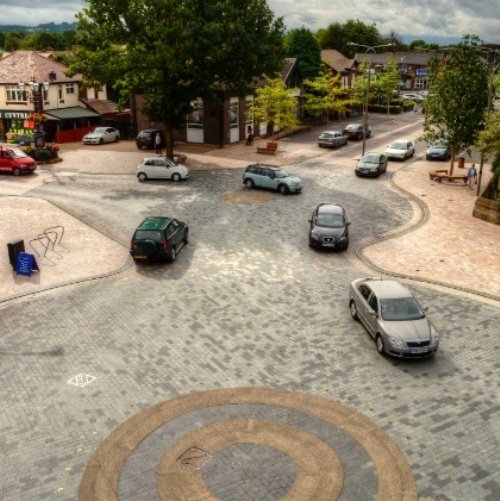 However, the story in Poynton has convinced me even more that shared space is a key solution for not only traffic safety and efficiency, but economic development. Finding an engineer that will put their professional stamp on the project drawings. Negotiating with the “science” of modern day traffic models to convince the powers that be that shared space can increase traffic efficiency. Ensuring everyone that these spaces can be designed to accommodate the impaired and as the above video conveys even improve mobility for the disabled. Figure out how to work around the “if it is not in the guidelines it cannot be built” mentality that so many DOTs are limit by in regards to shaping our built environment. There are several projects in the States in addition to the one in Providence that I know about that have been able to pull of the impossible (Montgomery, Cambridge, etc.). 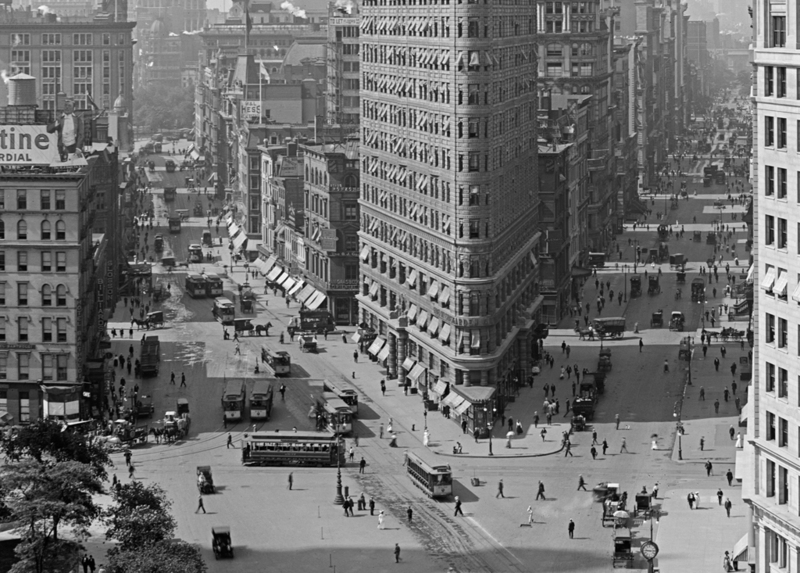 However, what we all have forgotten is that shared space was the only way streets were built in the U.S. less than 75 years ago. 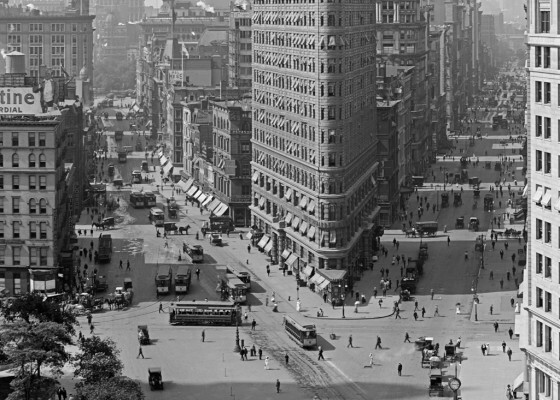 Jason King from Dover Kohl reminded me of this fact when he sent me the image below of Madison Square. I applaud Ben Hamilton-Bailie and all those involved with implementing Poynton on what was surely a giant hill to climb in order to get this project built. If you know of any shared space project on the drawing boards in your area please do leave a comment with the details. Thanks to Chuck at Strongtowns for sharing this video with me. This entry was posted in Living Urbanism, Public Space, Urbanism and tagged economic development, England, Placemaking, Shared Space, Traffic Engineering, Urban Design on April 3, 2013 by Russell.